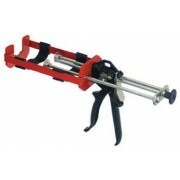 Damp Proof Injection gun for our 400ml Dampout+ damp proof cream cartridges. These state of the art resin nozzles are a great improvement on the standard static mixers. 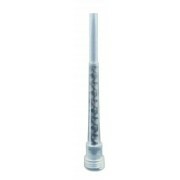 The patented mixer dispenses any chemical anchor cartridge system using less force, with better mixing and less waste than any other currently available mixer. (Sold in packs of 10). 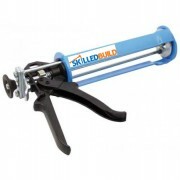 This professional, heavy duty dual applicator gun is perfect for our Ultra-Rez Pure Epoxy Resin. 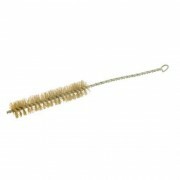 It is designed to fit side-by-side, 1:1 ratio 400ml cartridges. 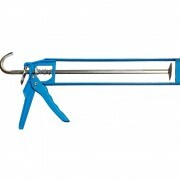 Caulking gun for applying sealants and adhesives from 310ml and 400ml cartridges. It's ideal for use with the entire SkilledBuild Silicone Sealant Range, DampOut+ DPC and Ultra-Rez DIY Resin.